Your perfect Put-in-Bay Island getaway is waiting for you. There are several choices in Put-in-Bay for boaters looking for marinas with dockage, both public and private. When bringing your boat to Put-in-Bay, many docks are on a first-come-first-served basis, so plan to arrive early on busy weekends and holidays. The Village of Put-in-Bay maintains three large boat docks in the downtown area named A, B, and C docks. Two, “A” and “C”, are managed by the Put-in-Bay Village and the other known as “B” dock is managed by the DeRivera Park Trust. Other privately owned boat docks accept advance reservations and weekends tend to fill up early in the week. While docking at Put-in-Bay’s public marinas, you may be required to “raft off” from up to 2 to 4 vessels. Plan ahead and bring your boat fenders and extra lines, and always practice courteous boat rafting. 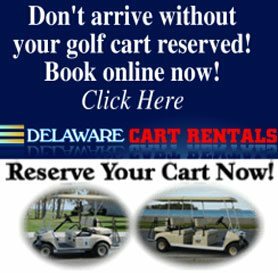 While docked at Put-in-Bay, golf carts, bicycles and mopeds may be rented for your transportation needs by the hour, day, or overnight for several days at a time from the island favorite Delaware Cart and Bike Rental, located just across the park from the public docks. If you have extra guests joining you for your boating weekend there are several Put-in-bay Hotels within walking distance from the downtown docks. There are several private marinas that offer dockage to non-members during off-peak times. They are the Crew’s Nest, The Boardwalk Marina & the Park Place Boat Club.